Empirical Education, LLC, recently released a report on the efficacy of AMSTI and the results indicate that most students in classrooms led by a fully-trained AMSTI teacher score higher on the ACT Aspire standardized test. The report indicates a positive impact for both genders in math and science achievement and students of lower socioeconomic status show even greater gains in AMSTI classrooms. While the report also highlighted areas that could be approved, the results were overall positive. See the entire report here. Ledwell has a long history of STEM education. She has served as the AMSTI Science Coordinator for the past six years. Ledwell joined the Alabama State Department of Education in 2006 as a Science Education Specialist after a ten-year teaching career with Scottsboro City Schools. Ledwell holds a Doctorate of Education in Organizational Leadership from Nova Southeastern. She earned a Masters Degree in Elementary Education from The University of Alabama. Ledwell earned National Board Certification in 2000. She was selected as the Outstanding Middle School Science Teacher by ASTA in 2004, and was selected as a state finalist for the Presidential Award for Excellence in Math and Science Teaching in 2005. In 2013, she was named as an Outstanding Alumni from the University of Montevallo. Ledwell believes that her first priority is to maintain the quality services AMSTI is known for providing, while at the same time expanding the focus to provide additional opportunities for students and teachers. She looks forward to advocating for STEM for all students. Go to https://carolinascienceonline.com/#/ to explore all the new features. Remember, AMSTI teachers have free access to Carolina Science Online. If you need an access code, contact your regional support specialist! The Alabama Math, Science and Technology Initiative (AMSTI) is saddened to announce the passing of longtime science specialist Reba Turk. Mrs. Turk joined the AMSTI team at the University of Alabama in Huntsville in 2004 after a long teaching career in the Morgan County School System. 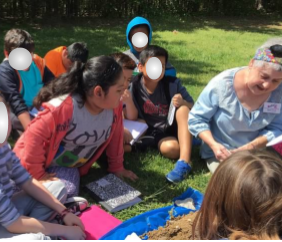 She was an AMSTI Science Trainer, a certified trainer for the Global Learning and Observation to Benefit the Environment (GLOBE) program, and a frequent presenter at both the Alabama Science Teachers Association and the National Science Teachers Association Conferences. Ms. Turk trained hundreds of Alabama science teachers and influenced the science education of thousands of Alabama students. She was an incredible asset to science education in the state, as well as a wonderful mentor to so many teachers and new AMSTI specialists. Our thoughts are prayers are with her family, friends and educational colleagues. Reba Turk, center, working with AMSTI staff to design engaging science activities. On Wednesday, March 14th Emerging leaders from Russia joined the UAH-AMSTI staff to discuss mathematics and science instruction. The visit was part of the Open World program and brought a group of STEM Innovators from Russia to North Alabama. The two teams had rich conversations around STEM and Digital Literacy. The Russian delegates were fascinated with a demonstration of Ozobots robots that are being incorporated into upcoming AMSTI Digital Literacy and Computer Science Kits. The opportunities being made available to Alabama students to learn coding at an early age was also a topic of the conversations. Both teams discovered many commonalities. "Educators from both teams are passionate about education, and we see better opportunities for students engaging in quality STEM instruction," said Shelia Holt, AMSTI UAH Site Director. The congressionally sponsored Open World program brings emerging leaders from participating countries to the United States in order to give them firsthand exposure to the American system of participatory democracy and free enterprise. The program allows American leaders and their counterparts from Armenia, Azerbaijan, Estonia, Georgia, Kazakhstan, Kosovo, Kyrgyzstan, Mongolia, Russia, Serbia, Tajikistan, Turkmenistan, and Ukraine to engage constructively with one another in a manner that complements the U.S. Congress’s public diplomacy efforts on timely issues such as accountable governance and the legislative process, young leadership development, entrepreneurship, health issues, education, environment, and the rule of law. (Information on the Open World program provided by http://www.openworld.gov. In Science, Is a Picture Worth a Thousand Words? As Alabama teachers implement the College and Career Ready Standards for Science, they are asking students to engage in arguments from evidence. 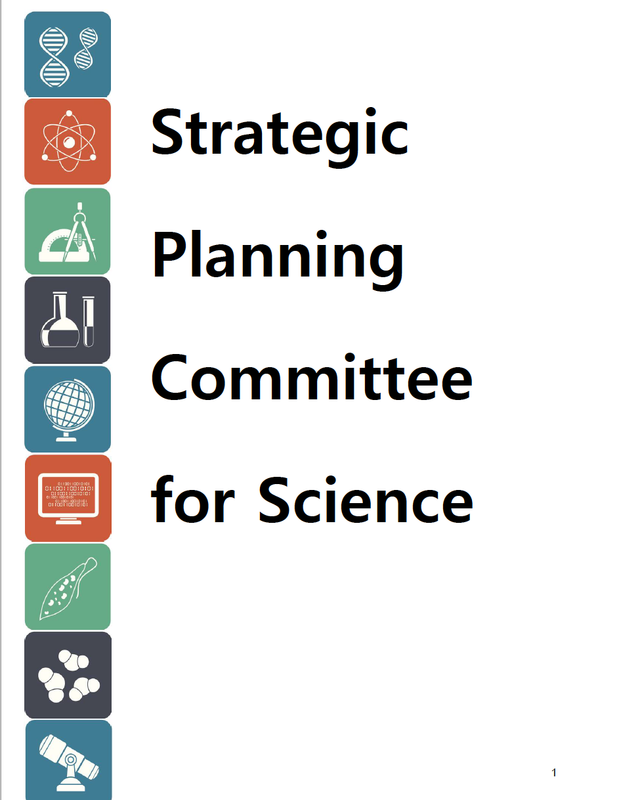 Engaging in arguments from evidence is just one of the eight science and engineering practices found in A Framework for K-12 Science Education: Practices, Crosscutting Concepts, and Core Ideas (National Research Council [NRC], 2012). A student’s ability to provide written evidence is limited in kindergarten, first, and second grade due to their developing literacy skills. Their oral language is more advanced than their written language. Using photographs as evidence is not only an effective scaffolding tool for written and spoken arguments, but also a meaningful method of integrating technology into science. Hugo von Zeipel (2015) conducted research in Sweden on the subject of using pictures to develop science concepts in young children. He found that when students have background knowledge about a scientific concept, pictures alone and pictures with text supported their understanding. However, if the student did not have background knowledge, isolated pictures nor pictures with text furthered their understanding . In order to increase scientific literacy, students should have hands-on learning experiences to build background knowledge. They need to be able to create and evaluate images to support their oral and written arguments. This skill is more important now than ever before. Our society is increasingly relying on images as sources of information. As a result, being scientifically literate no longer entails reading a piece of literature and discerning fact from fiction. Being scientifically literate involves evaluating images to determine if the evidence is real or false and does it truly support the claim of the author. As early as kindergarten, students need to begin the process of using pictures in a scientific context to support or disprove their arguments. Teaching young children to use images as evidence does not have to be difficult. Turner and Hicks (2017) shared two guiding questions used in a writing class to evaluate ads, “What is this advertisement saying?” and “How do you know?” (p. 28). A science teacher only needs to change the questions slightly to “What is your scientific claim?” and “How does this picture support your claim?” If teachers do not have access to iPads, digital cameras are another option. Inexpensive digital cameras can be purchased from Wal-mart for less than ten dollars. When teachers introduce using images as evidence in their science classroom, they will see a difference in enthusiasm during the process of defending an argument. Another advantage is the quantity and quality of oral and written language will improve. As teachers, we not only need to teach content, but we need to instill a love of learning. The integration of science and technology is a positive step towards that goal. Turner, K. H., & Hicks, T. (2017). Argument in the real world: teaching adolescents to read and write digital texts. Portsmouth, NH: Heinemann. Amy Garrett, STEM teacher, Troy-Pike Center for Technology, Pike County School System, has been selected as an Alabama finalist for the Presidential Awards for Excellence in Mathematics and Science Teaching (PAEMST), which is the highest honor for teachers of math and science. AMSTI learned today that the Northrop Grumman Foundation and the National Science Teachers Association (NSTA) announced that Tina McKenzie, an AMSTI-certified teacher at Endeavor Elementary School in Harvest, Alabama was chosen to participate as a Teacher Fellow in the 2016-2017 Northrop Grumman Foundation Teachers Academy. The only teacher selected from Alabama, McKenzie will participate with 24 other educators in a number of science, engineering, and technology-related activities and professional learning opportunities. Long time AMSTI Director Steve Ricks has announced his retirement at the end of October. The AMSTI staff and specialists from around the state took the opportunity to honor him with a retirement celebration. Several attendees requested copies of pictures that were taken during the event. Those pictures are available at https://goo.gl/kDQJhK. Dr. J. Michael Wyss, Director of the University of Alabama Birmingham (UAB) Center for Community Outreach Development and the Principal Investigator for the UAB Regional Site of the Alabama Math, Science and Technology Initiative, has been awarded the 2016 Friend of AMSTI award.